Portrait of artists Ushio and Noriko Shinohara. 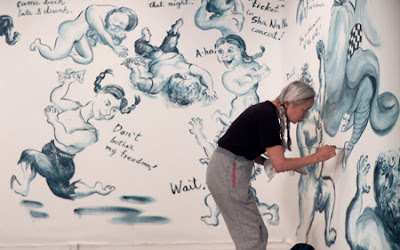 Together since Noriko came to the US 39 years before when she was 19, the pair make art in Manhattan and try to make enough money just to pay the rent. 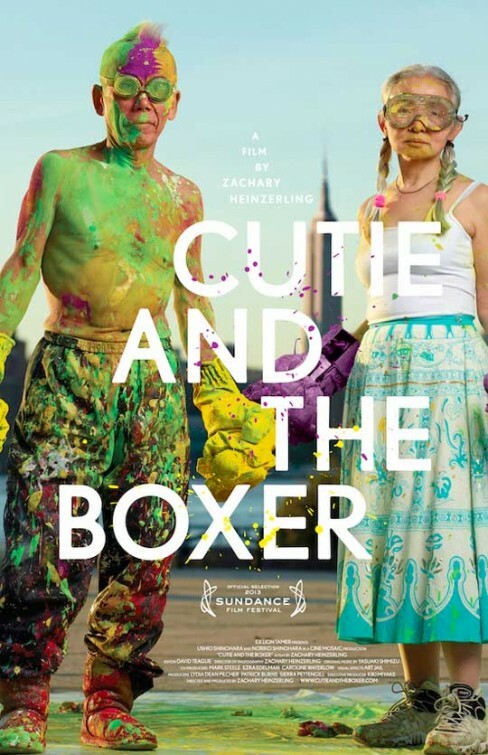 The title comes from two places,first the autobiographical graphic series Noriko is working on about Cutie, a young woman who comes to the US and who falls in love with a a man modeled on Ushio. The Boxer of the title is Ushio who does action paining by boxing large pieces of canvas. Using the opening of several shows as a way of seeing the pairs current life, it's contrasted with the tale told in Noriko's work which reveals the past. Very good look at the life of artists who live for their art, and for each other, the film reveals what it's like to be a struggling artist. Actually going back to the 70's Ushio is seen in clips as being hailed as the starving artist who's work everyone likes but no one buys (some of his pieces are huge). Having a brother who is himself a very accomplished artist , I could understand the Shonohara's situation. This is the life of most artists that I've met who only know their art. Its a some what chilling situation since it's clear that they are extremely talented even if they don't always sell their work. For me joy of the film is just watching the pair who are wonderful characters go through their days, busting on each other and making art. While they can get cranky it's clear that they love each other deeply. While I like Ushio's painting and sculpture (he has thing for motorcycles) I really love Noriko's Cutie art and I have set myself the task of trying to track it all down when Tribeca ends. 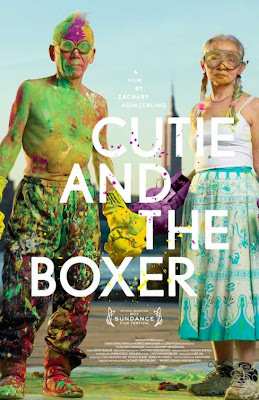 A solid little film, this is going to be best enjoyed with anyone who has ever wanted to make art their life.